As microtransactions become synonymous with the AAA gaming experience, customers have been forced to decide how far they're willing to let publishers go with their integration. Some gamers draw the line at microtransactions in singleplayer titles, whereas others are only against loot boxes. Another portion of gamers would prefer not to have microtransactions in their games at all. 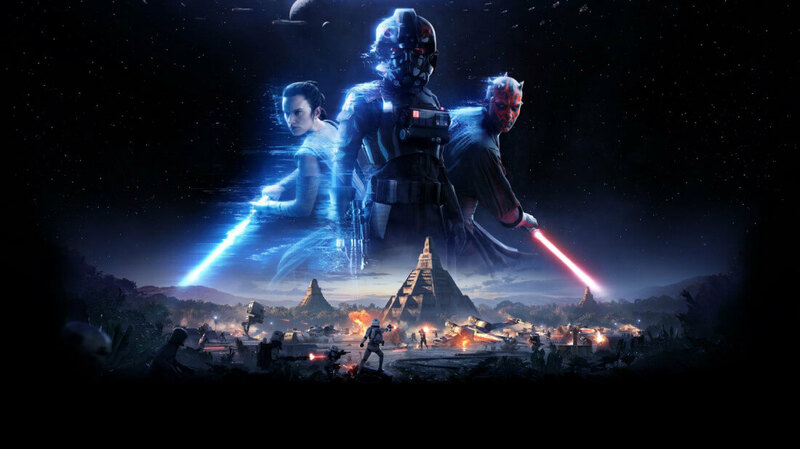 Individual preferences aside, many gamers seem to agree video game publisher Electronic Arts (EA) took things too far with the launch of Star Wars: Battlefront II last year. When the game first launched, it contained alleged "pay-to-win" microtransactions in the form of loot boxes. These microtransactions went on to spark widespread fan backlash, attract mainstream media attention and even draw the attention of government regulators. In response to player complaints, EA decided to pull microtransactions from the game entirely until a better solution could be found. It now seems they've found just that if a recent blog post is anything to go by. In the post, EA claims an upcoming Battlefront II update will completely overhaul the game's progression system. EA says progression will no longer be tied to loot boxes or microtransactions but will instead be completely linear. For example, users will earn experience points for the "classes, hero characters, and ships" they choose to play. Players who level up their characters will be rewarded with "Skill Points" which can be used to unlock or upgrade Star Cards. Crates, on the other hand, will no longer contain Star Cards nor will they be available for purchase. Rather, players will acquire them by logging in daily, completing Milestones or beating timed challenges. Crates, on the other hand, will no longer contain Star Cards nor will they be available for purchase. Rather, players will acquire them by logging in daily, completing Milestones or beating timed challenges. Furthermore, Crates will only include cosmetic items such as victory poses, emotes or Credits. These changes alone would likely address the vast majority of fan complaints but EA isn't stopping there. If you want to purchase "new looks" for heroes or troopers, you'll be able to purchase them outright by using Credits earned through gameplay or Crystals purchased with real money. "If you've ever dreamed of being a part of the Resistance as a Rodian, your chance is right around the corner," the blog post reads. All of these changes will certainly please Battlefront II's more loyal fans but it could be a case of "too little, too late" for EA and DICE. Time will tell if the "Progression Update," scheduled to roll out on March 21, will be enough to bring back fans who have long since abandoned the title.